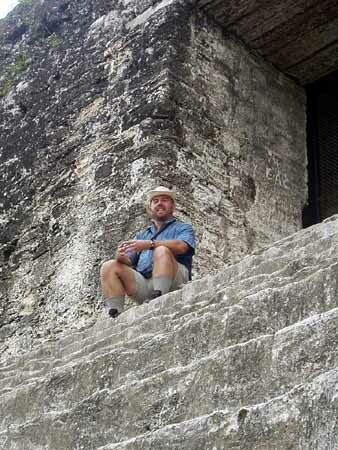 I arrived in Flores early evening on Monday, October 27. 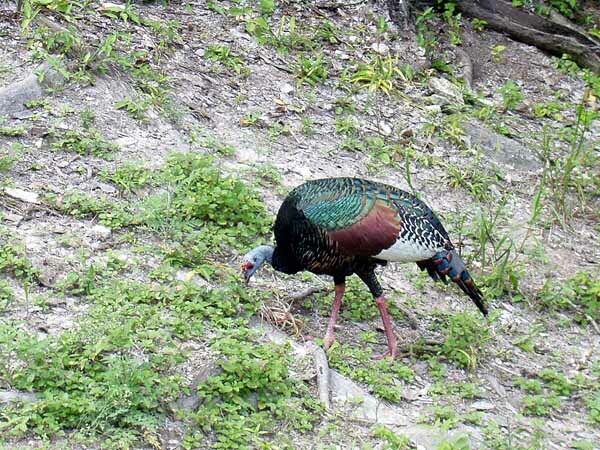 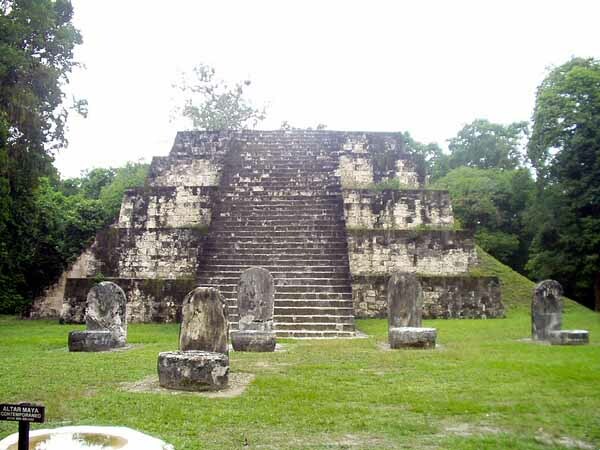 Flores is a small town on a small island in Lago de Peten Itza about 400 yards from the shore. 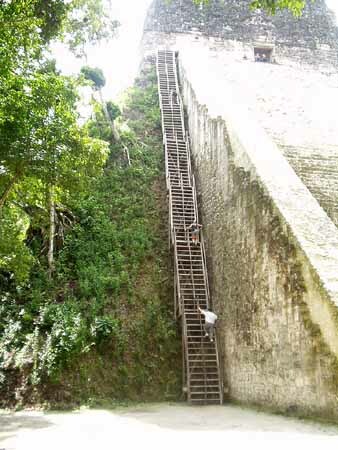 Technically I don't think it is still an island since a road was built on an artificial spit of land created to connect Flores to the mainland and the town of San Benito. 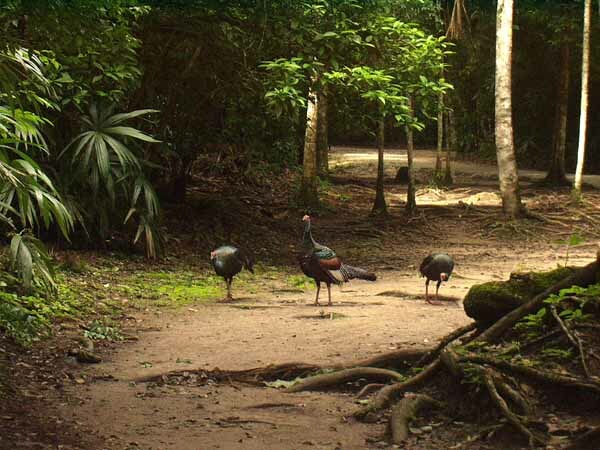 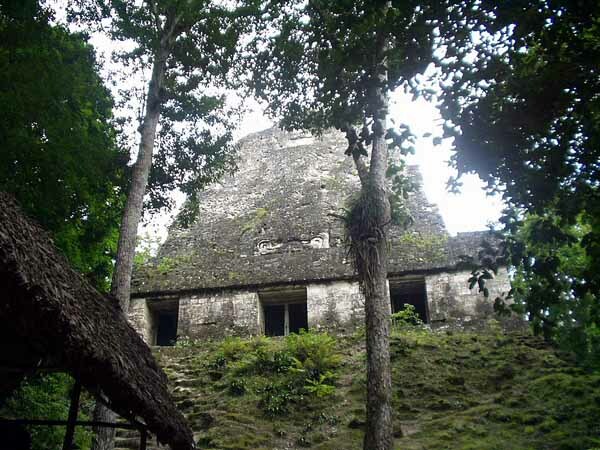 Flores and San Benito are the most convenient places to stay when visiting the Mayan ruins of Tikal. 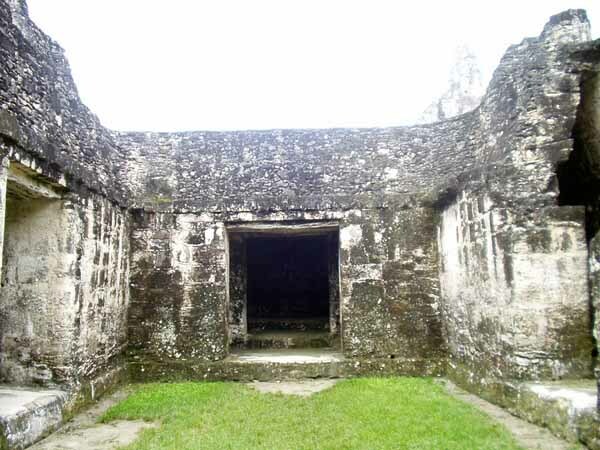 I found a basic but acceptable room for 50 Quetzales, about $6, at Casa de Lancandon. 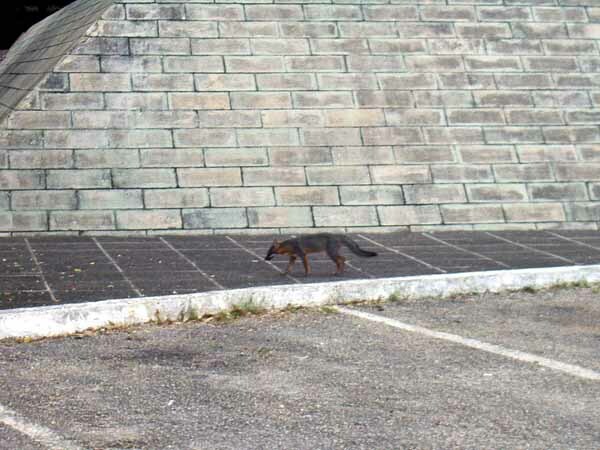 I went out to eat and when leaving the restaurant noticed a few people nervously eyeing a dark lump on the sidewalk across the street. 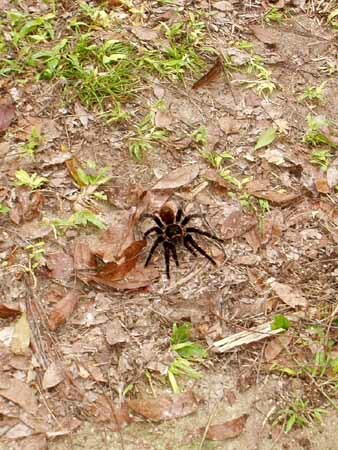 I looked closer and saw that the dark lump was a curled up boa constrictor, about six or seven feet long. 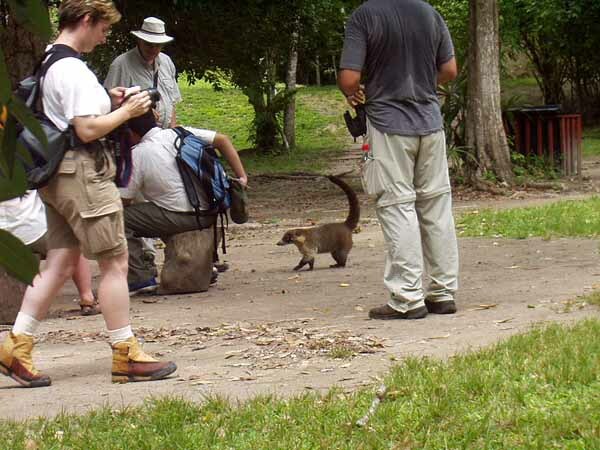 Some of the local people were cautiously trying to shoo him back to the lake, which was about fifty yards away, but the snake wasn't moving. 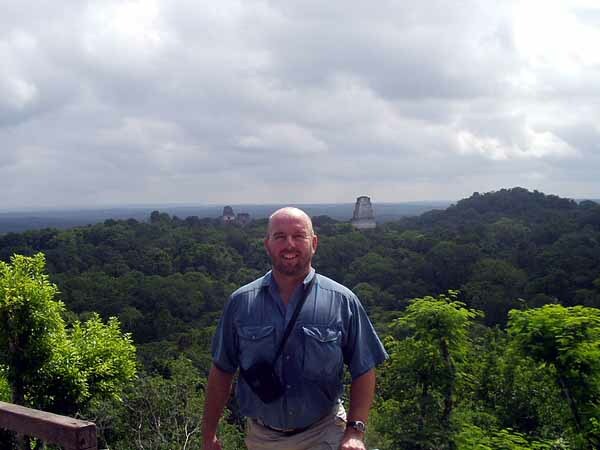 That's when I decided I need a shirt pocket size camera to keep with me all the time; I missed a good picture. 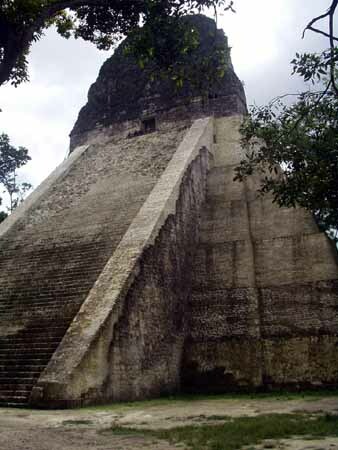 Okay, on to Tikal. 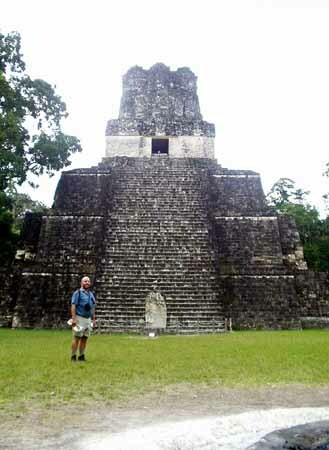 I got up very early to take a 5:00 a.m. shuttle to Tikal, arriving about 6:30. 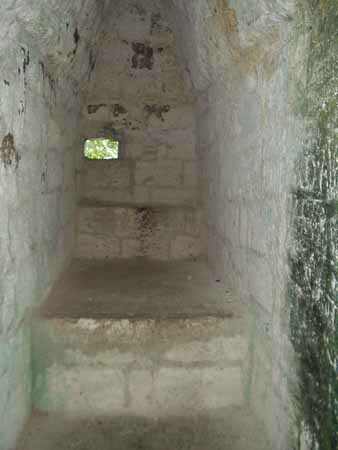 I went in with three other people at the entrance and hired a guide, but he was a waste. 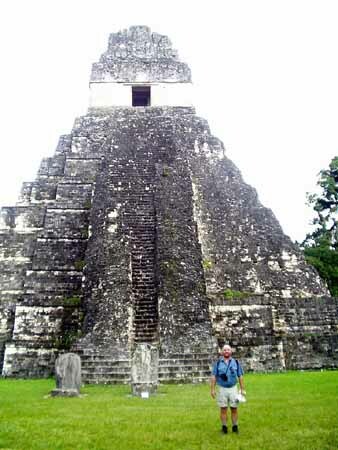 He didn't seem to know much about Tikal, to make up for this he talked slowly and repeated himself a lot. 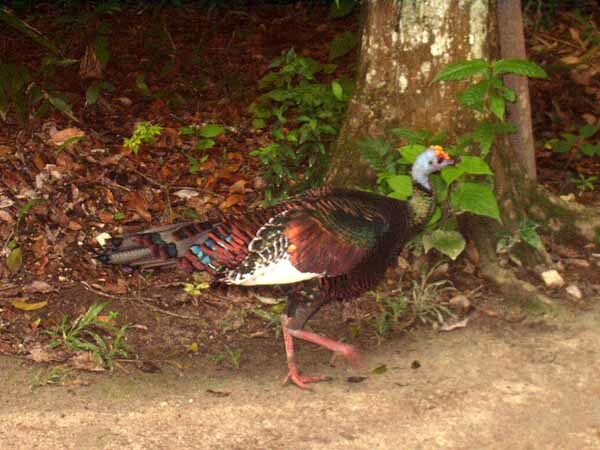 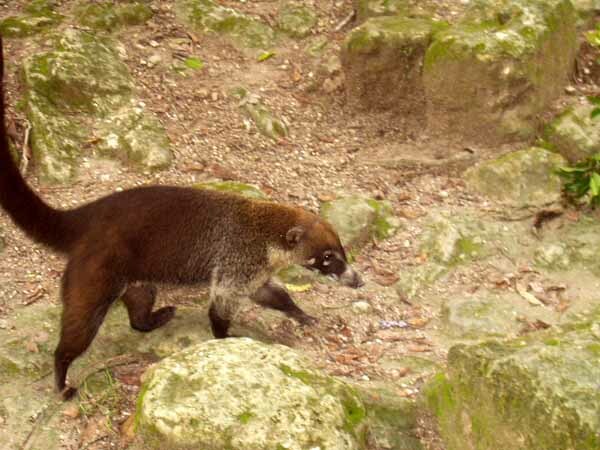 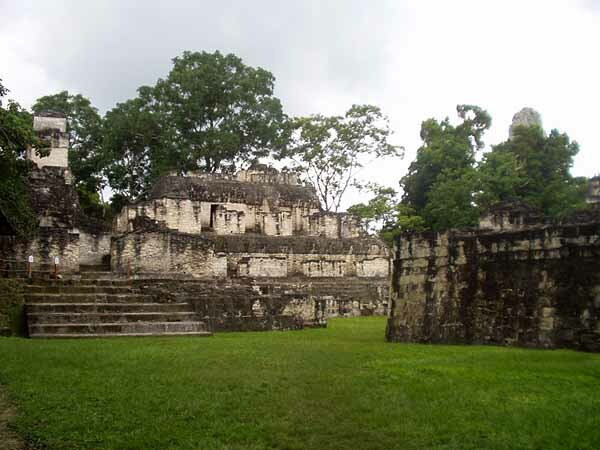 I guess guides are hit and miss; the one in Copan was excellent, while I would have been better off on my own in Tikal. 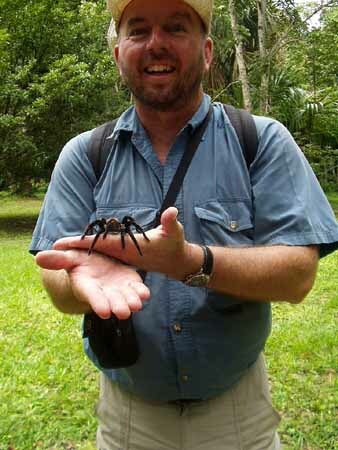 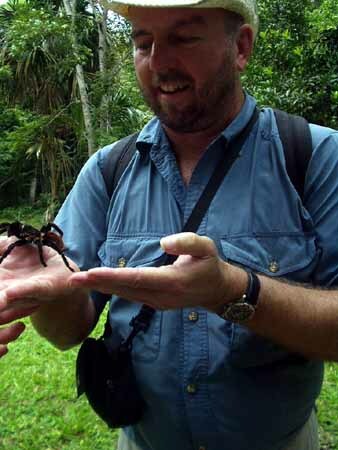 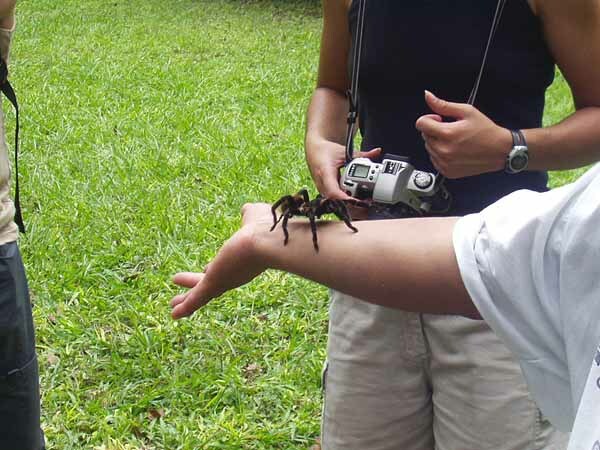 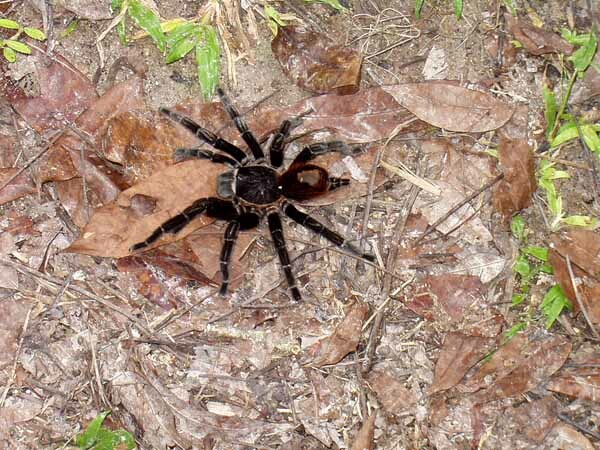 However the Tikal guide was good with tarantulas. 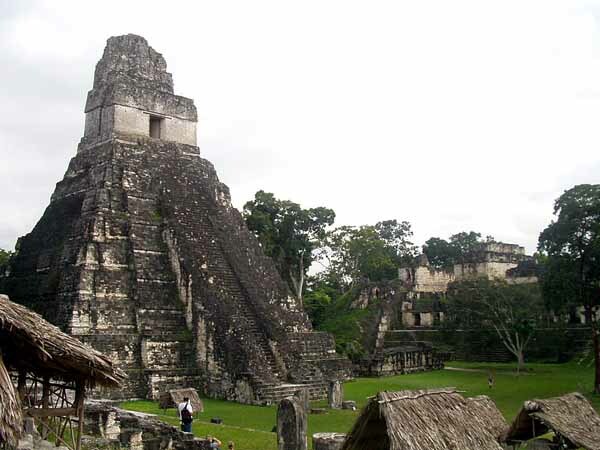 Info on Tikal, mostly from my guidebook. 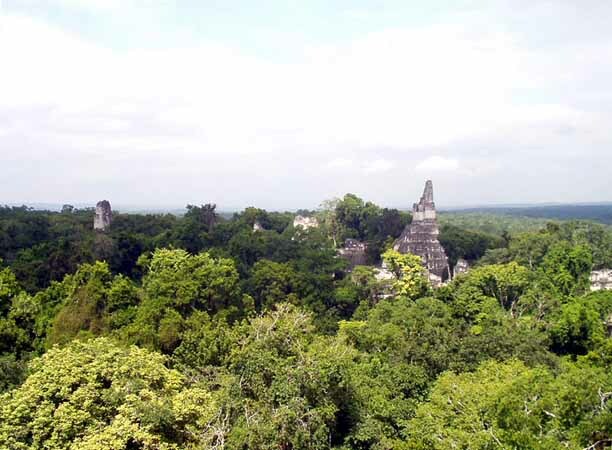 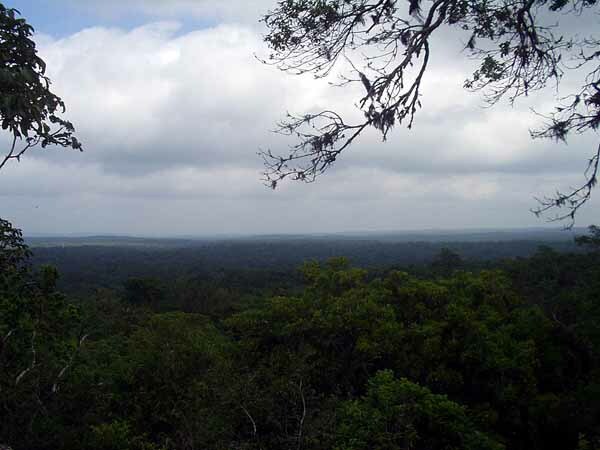 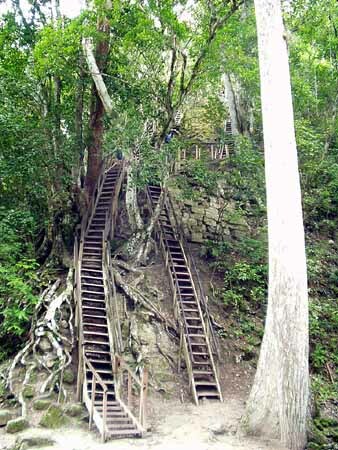 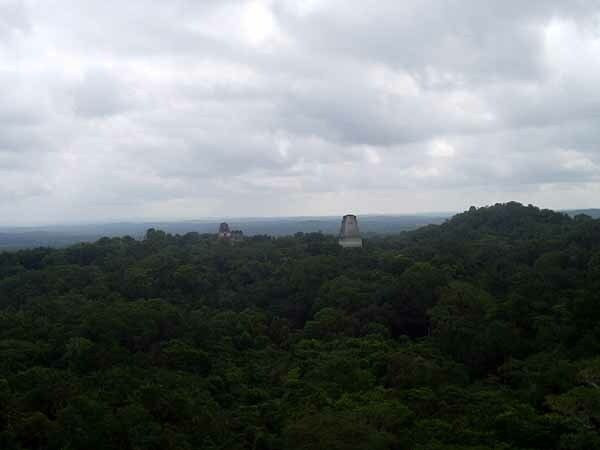 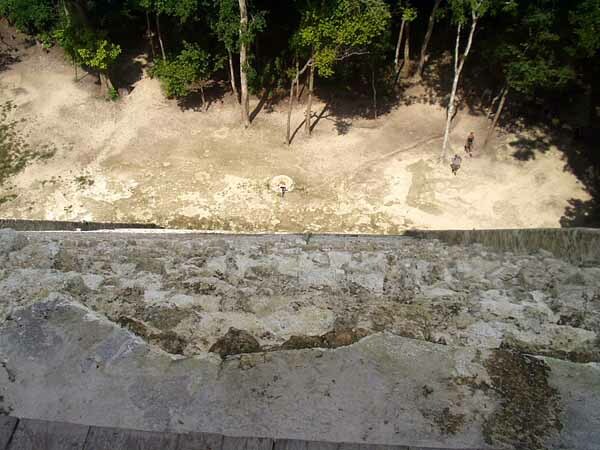 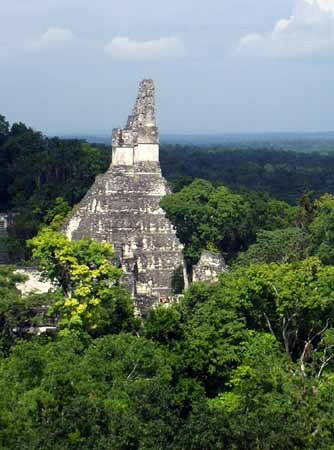 The area of Tikal was first settled around 700 BC on a low hill in an area of swamps and rain forests. 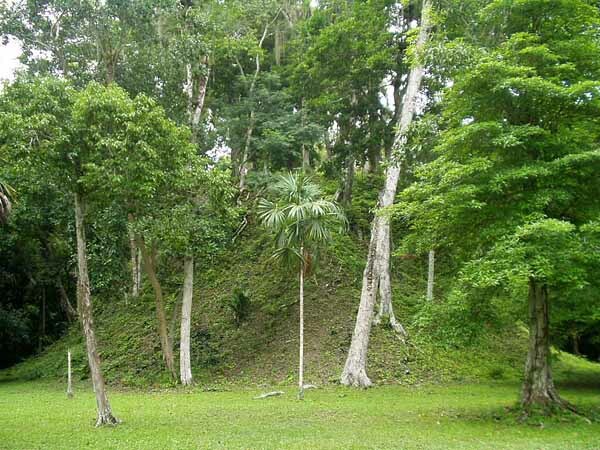 Archaeologists speculate people settled there because there was a great deal of flint in the area, and flint was the primary tool material of the day. 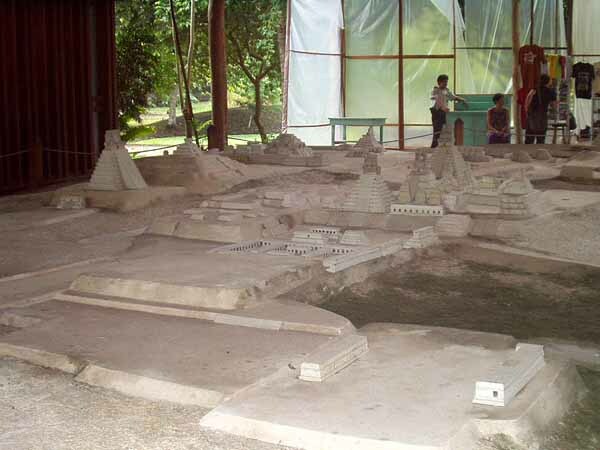 Flint made the area wealthy enough to start building and by 200 BC there was a complex of buildings on the hill. 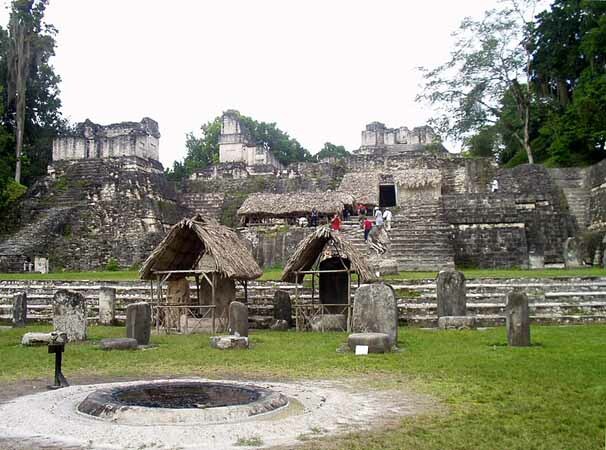 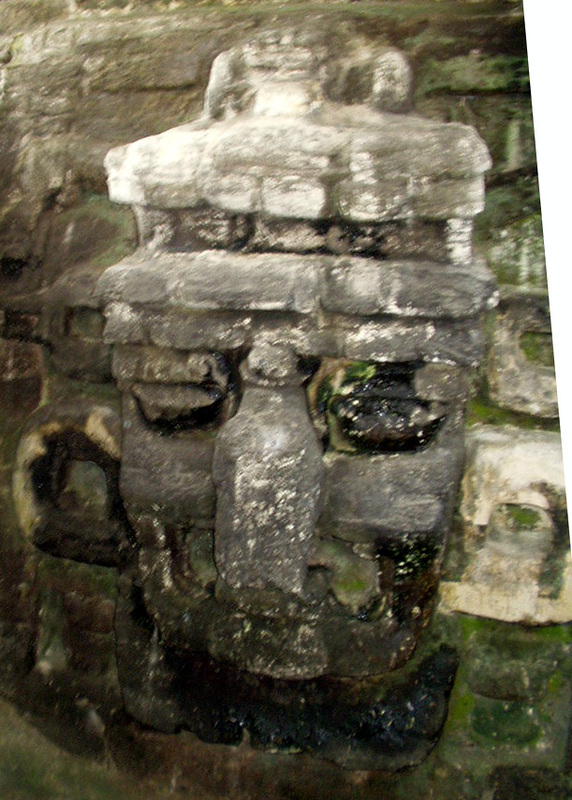 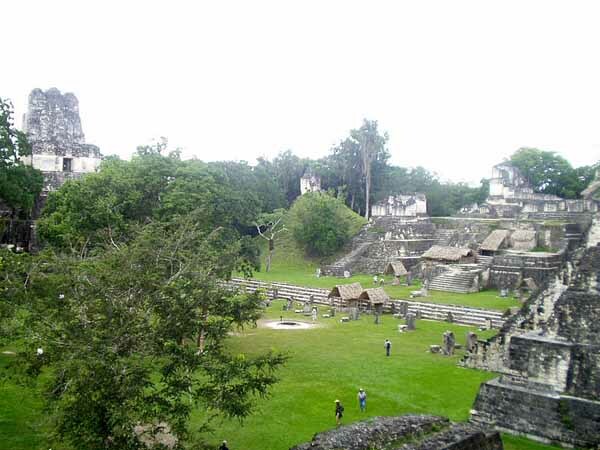 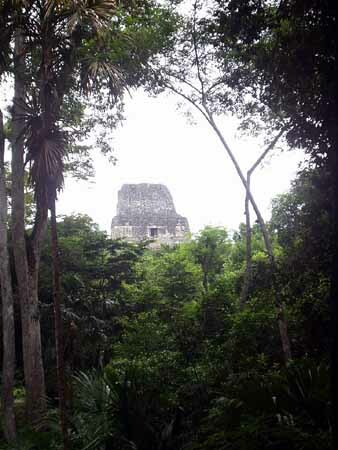 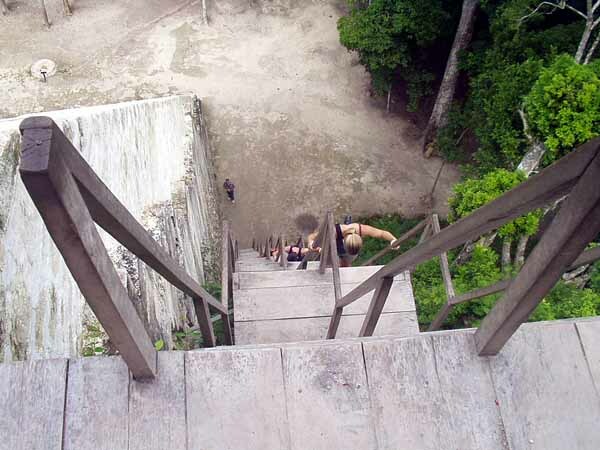 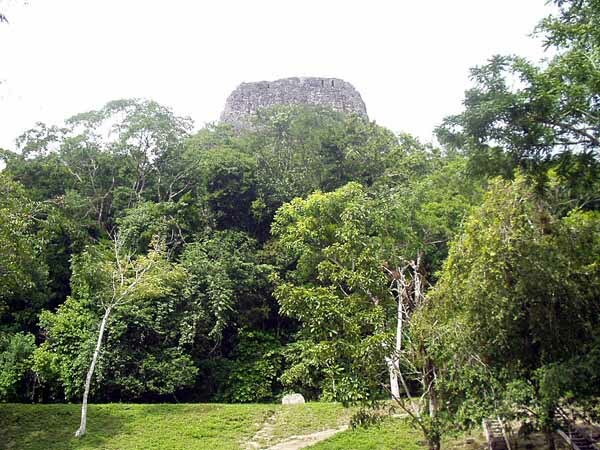 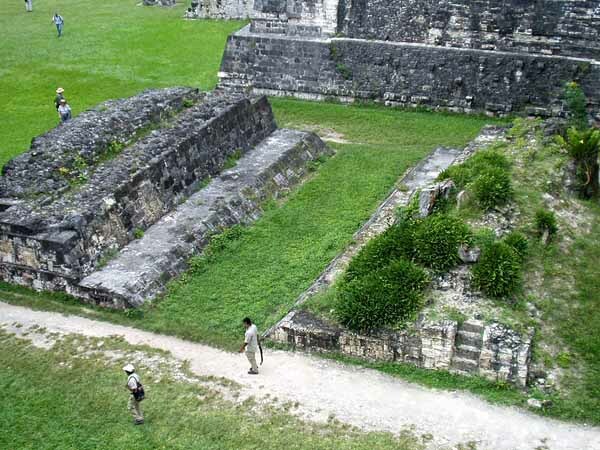 Wealth, power and conquest made Tikal an important city of about 100,000 in the sixth century. 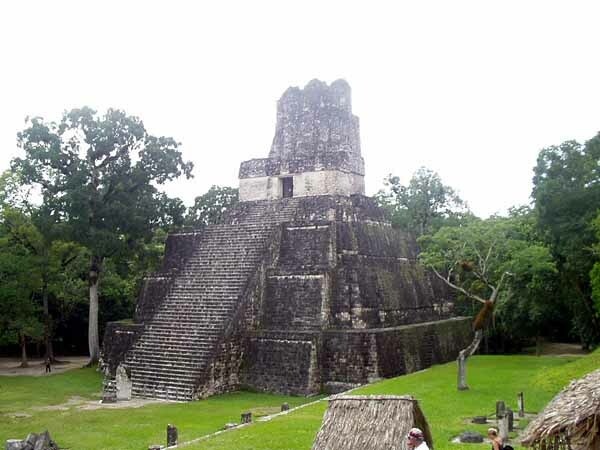 Most of the great temples were built in the seventh and eighth centuries. 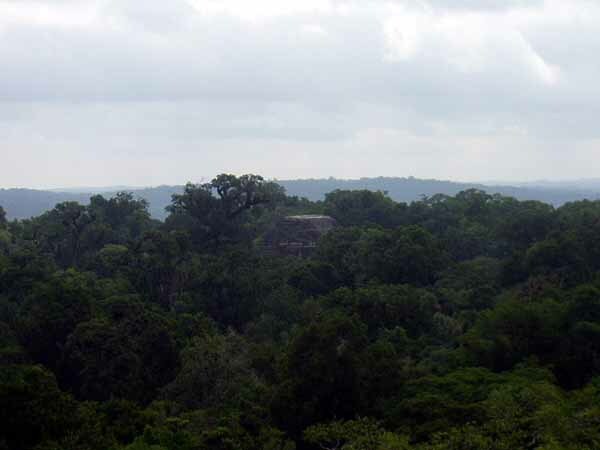 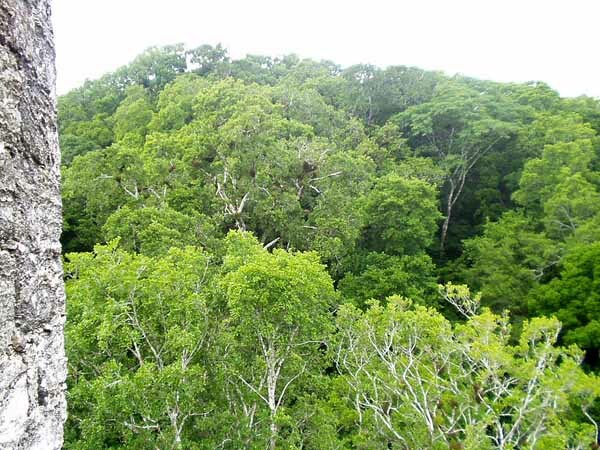 Sometime around 900 AD the city went into decline, speculation is that the land was exhausted and the local climate was changed by clear cutting of forests; whatever the cause the city was abandoned and the jungle reclaimed it. 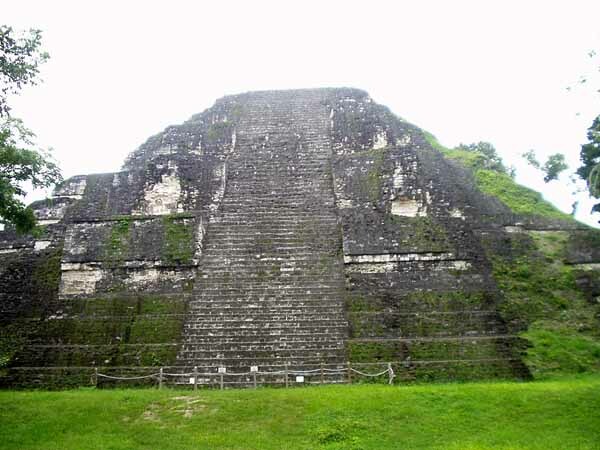 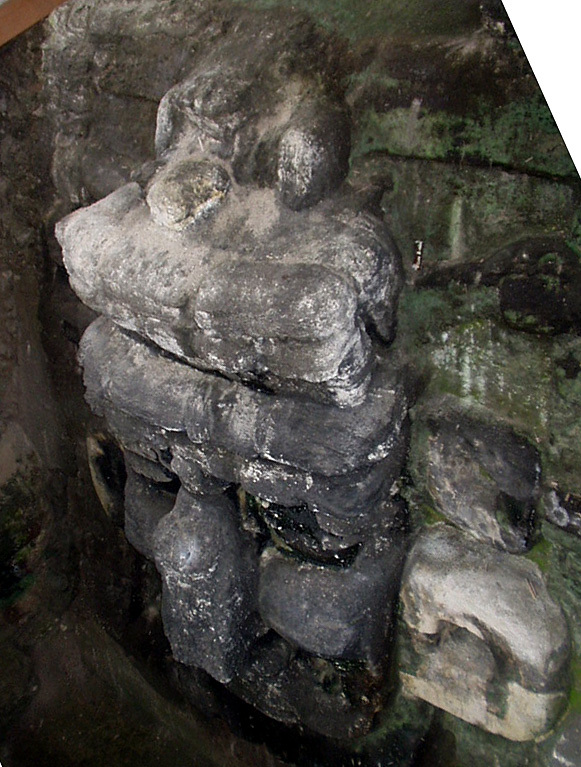 It was rediscovered in the nineteenth century and Indiana Jones style excavation ensued, followed by more modern excavation and restoration in the twentieth century. 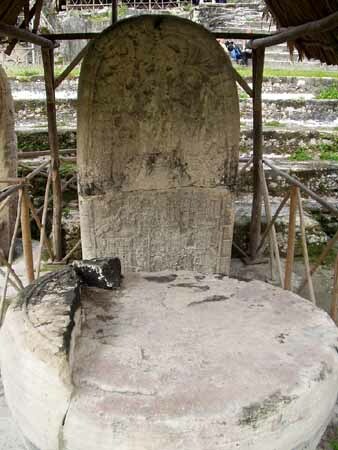 In the 1970's it made the big time; it was used in a scene in the first Star Wars movie. 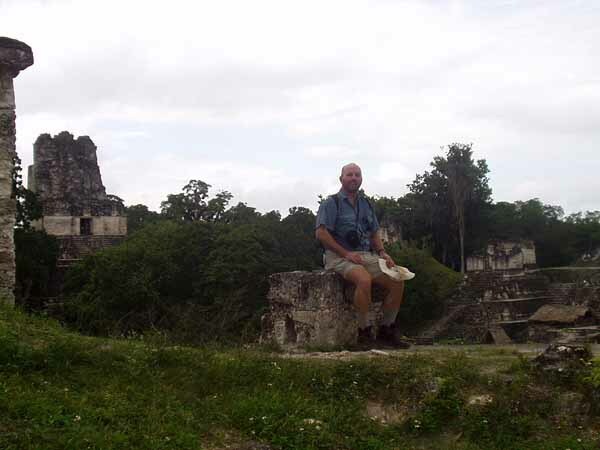 Once again I arose painfully early (I'm not an early person) on the morning of October 30 to catch a 5:00 a.m. shuttle to the border with Mexico. 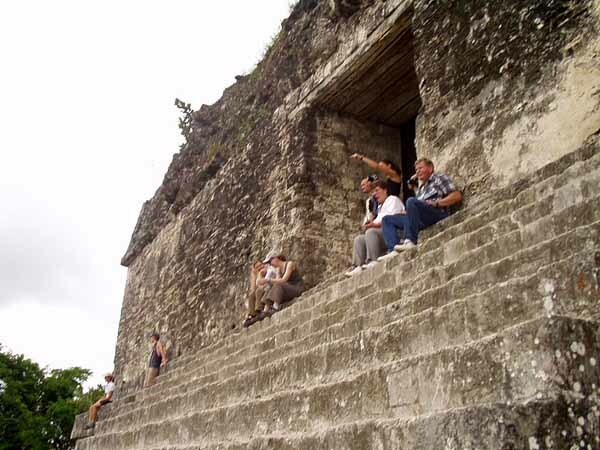 There is a brief description of the trip back in the Guatemala main page.